Well, the critics are in agreement about Bullets Over Broadway, but it’s not the consensus that anyone may have expected. Despite the script by Woody Allen and the formidable direction/choreography by Susan Stroman, the would-be comedy musical, based on the 1994 Woody Allen film of the same name, just isn’t funny. Sure, they say Zach Braff is okay and that Marin Mazzie performs well, but the problems run deeper. The musical employs old songs from the 1920s and seems to carry a different, more brash, less sophisticated style of humor in its veins. 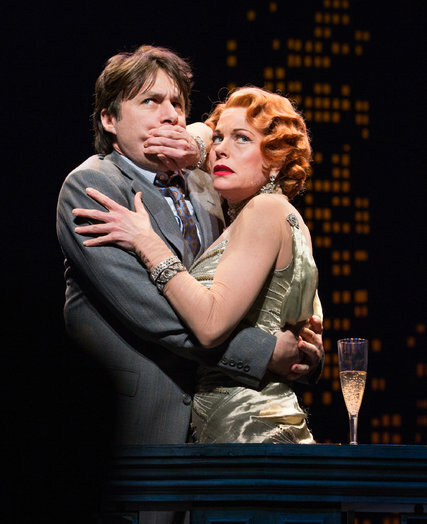 Bullets Over Broadway just seems to have an identity crisis, it’s caught between wanting to play with the big-time Broadway musicals and wanting to represent the dry style of the Woody Allen comedy classic. Consider yourself warned – if you have long anticipated this opening, you may be most in line for disappointment.